Your heart pumps your blood around the veins, but it is actually your kidneys that are responsible for regulating blood pressure. So for great blood vessel and heart health, you need to be looking at a bigger picture: your kidney health, hormonal heath and even gut health. Your kidneys help to monitor the pressure, and then adjust the levels of fluid coursing around the veins accordingly. 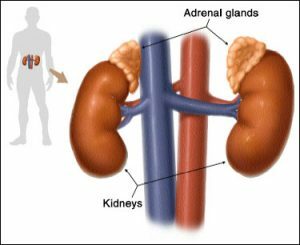 They do this with the help of hormones: some hormones trigger the release of more sodium from the blood into the urine; others instruct the kidneys to hold onto more sodium in the blood. As water always follows sodium, this directly affects fluid levels in the blood vessels. easily overloaded with the amount of sodium in modern diets. This is why a low-sodium diet is often recommended for those at risk from high blood pressure. High protein diets may also put a strain on the kidneys. On the other hand, hydrating and alkalising diets with a good balance of minerals are often more supportive. So vegetable soups are usually ideal, with perhaps just a small amount of meat, fish or pulses. Adding some seaweed can also be very nourishing to the kidneys. At the same time, constriction in the blood vessels throughout the body can affect blood pressure. To address this one would need to look at ways to reduce inflammation and tension. You can make a huge difference to levels inflammation through addressing your gut and the bacterial balance there. A number of nutrients have also been found to be useful for reducing inflammation and tension, including magnesium, coenzyme Q10, vitamin D, polyunsaturated fats in fish and krill oil, zinc, lycopene, L-arginine and L-taurine. 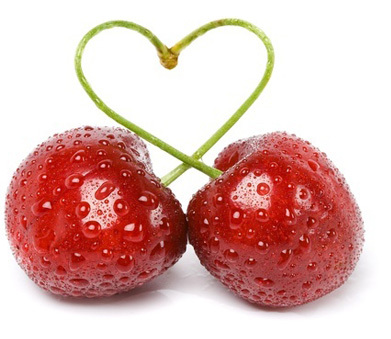 These last 3 stimulate nitric oxide production to help dilate the blood vessels and regulate blood flow. One large scale review showed, for example, that every 100mg increase in magnesium reduced the risk of ischemic stroke by 8-9%. You can find magnesium in nuts, seeds and green leafy vegetables, and supplement with magnesium sprays and lotions that absorb well through the skin. L-arginine is an amino acid that converts directly to nitric oxide. It is found in beans (including soya), almonds, walnuts, oats and such cold water fish as salmon, tuna and mackerel. A recent review of 11 studies showed that arginine supplementation of between 4 and 24g daily lowered both systolic and diastolic blood pressure substantially. 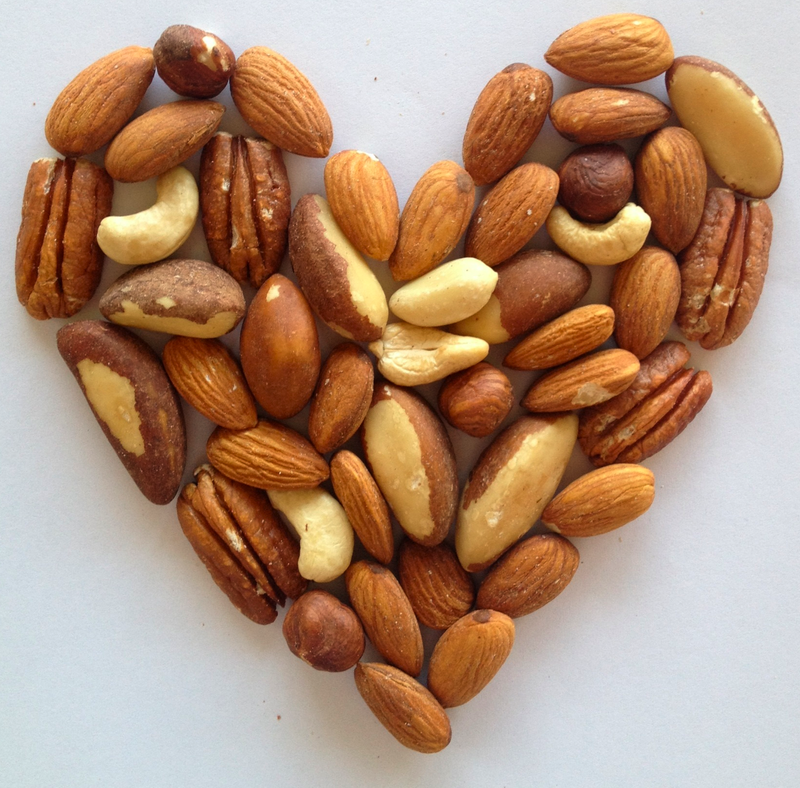 There have also been studies showing that people who eat nuts more than 4 times a week, or who eat more than 5oz nuts each week, are significantly less prone to heart disease. So you can make a start today by including a salmon salad with a sprinkling of nuts, or a deliciously healthy muesli bar into your weekly diet. To find out more, come for a consultation, or book onto my workshop on Healthy Hearts. I’ll be talking about blood pressure, atrial fibrillation, strokes and heart attacks. We’ll be discussing the roles of cholesterol, inflammation and stress, and exploring ways you can make a positive difference. The role of ADMA and arginine in the failing heart and its vasculature. Visser M, Paulus WJ, Vermeulen MA, Richir MC, Davids M, Wisselink W, de Mol BA, van Leeuwen PA. Eur J Heart Fail. 2010 Dec;12(12):1274-81. Epub 2010 Oct 5. A Possible Protective Effect of Nut Consumption on Risk of Coronary Heart DiseaseThe Adventist Health Study Gary E. Fraser, MB, ChB, PhD, MPH, FRACP; Joan Sabate, MD, DrPH; W. Lawrence Beeson, MSPH; T. Martin Strahan, MBBS, DrPH, FRACP Arch Intern Med. 1992;152(7):1416-1424. doi:10.1001/archinte.1992.00400190054010.